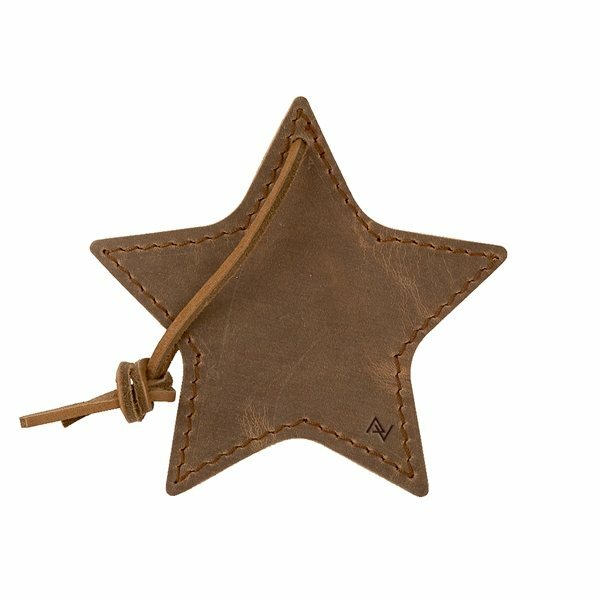 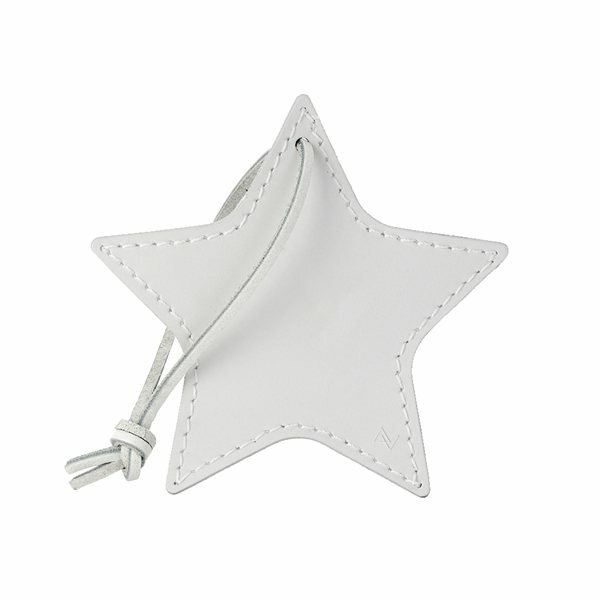 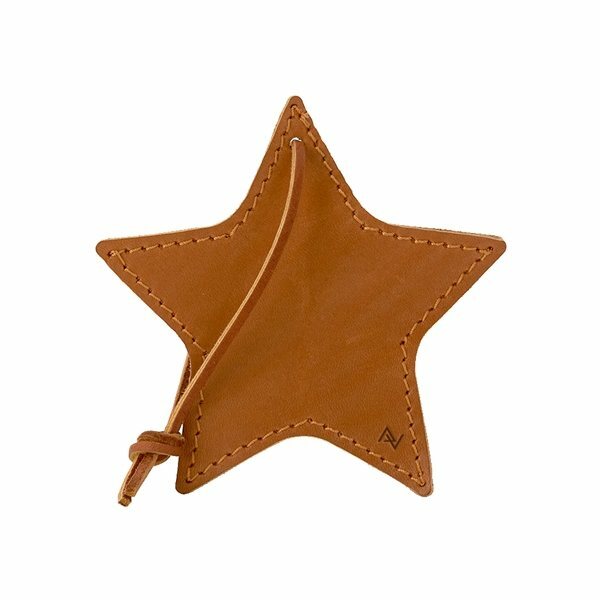 NEW STELLA debossed leather star ornament with leather shoelace tie.. 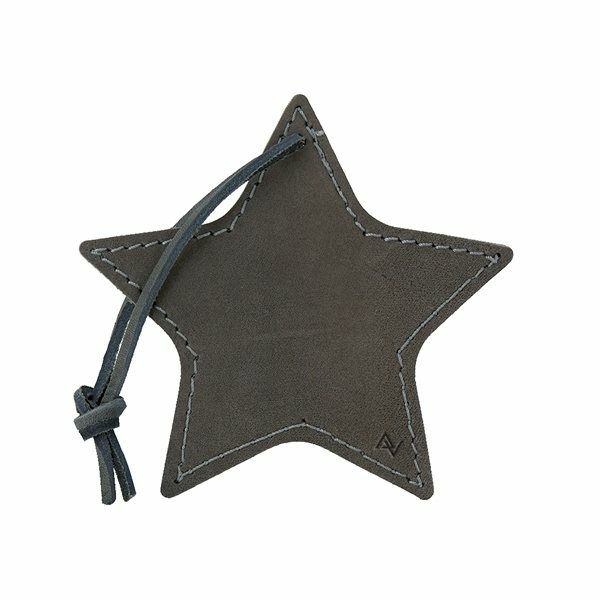 Choose from 6 domestic, USA Made, leather colors and customize to match your company logo to create something truly unique. 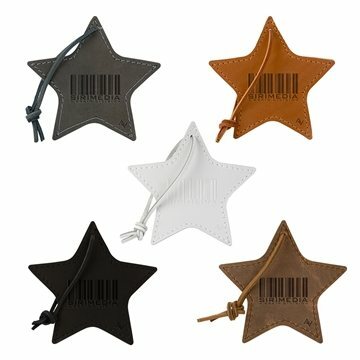 Colors and distress marks will vary - Variations found in natural leather.